AHHH....my kind of shot. Color out the gazoo. Good one, buddy. This is very nice, an overdose of color. These swans were on Avenida Jimenez which is in the middle of downtown Dolores Hidalgo which is known for its ceramics. 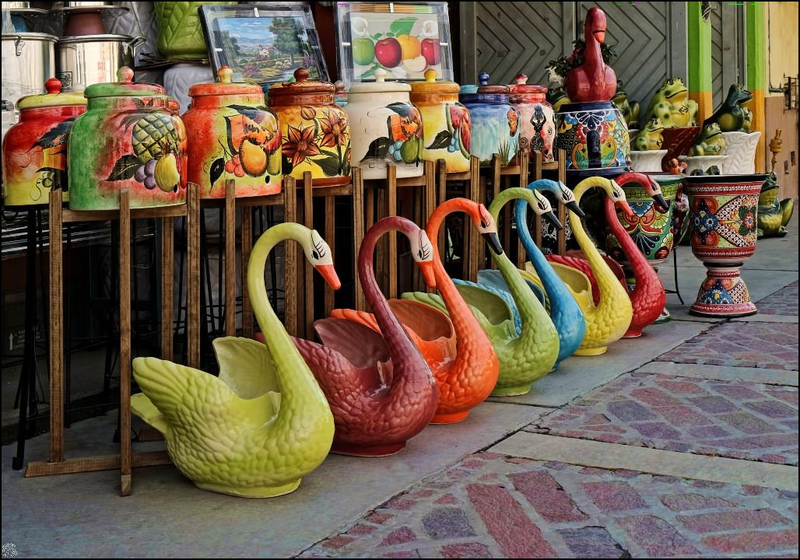 There are colorful displays of ceramics, both sides of the street for a great distance. Great capture! Wonderful colors and shapes. I like how the pattern in the bricks, tie into the pattern of the shutters.